The COSSA Distinguished Service Award recognizes leaders who have gone above and beyond to promote, protect, and advance the social and behavioral science research enterprise. 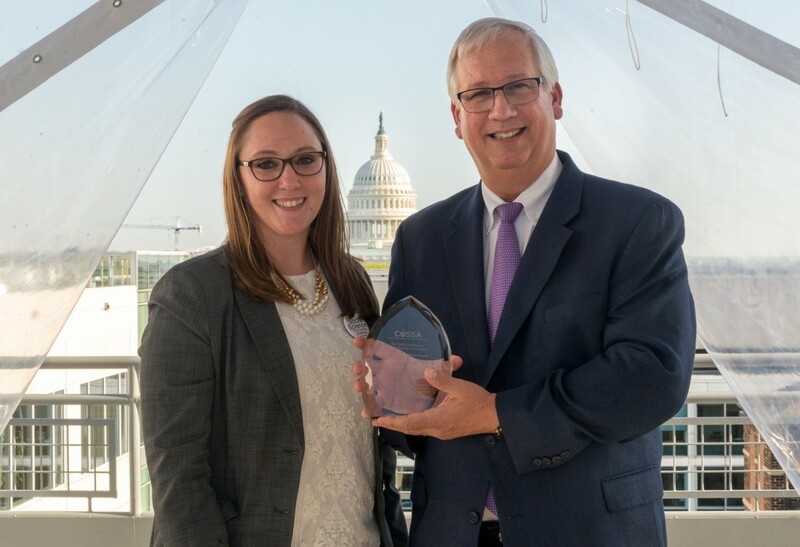 The COSSA Public Impact Award is awarded to individuals or organizations who are using social and behavioral science research to achieve notable improvements in communities. Awardees are chosen by the COSSA Board of Directors, which represents COSSA’s governing member associations. The awards are presented during COSSA’s annual Social Science Advocacy Day. 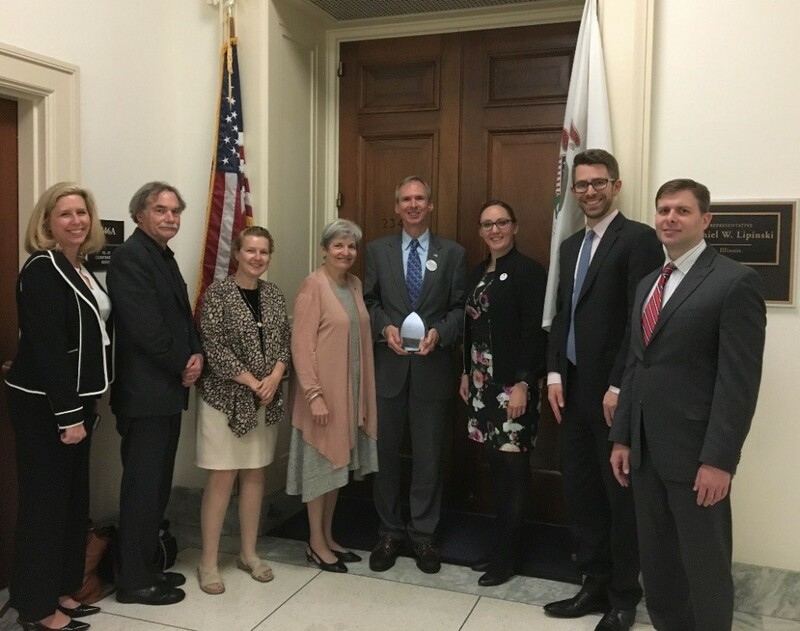 2018 Distinguished Award Recipient Rep. Dan Lipinski (center right) with members of the COSSA Board of Directors, representatives of COSSA governing associations, and members of Rep. Lipinski’s staff. 2018 Distinguished Award Recipient William Riley and COSSA Executive Director Wendy Naus. 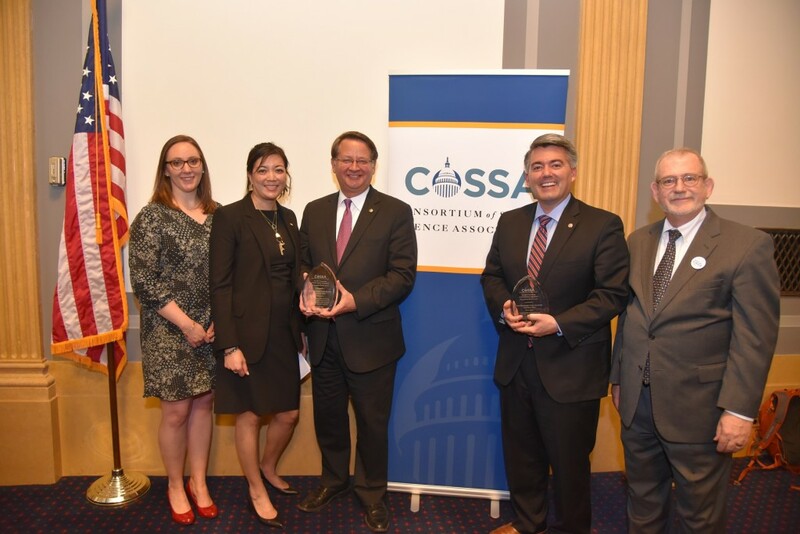 2017 Distinguished Award Recipients Sen. Gary Peters (center) and Sen. Cory Gardner (second from left) with COSSA Executive Director Wendy Naus (right); Christina Ko, University of Michigan (second from right); and Myron Gutmann, University of Colorado, Boulder Institute of Behavioral Science (left). 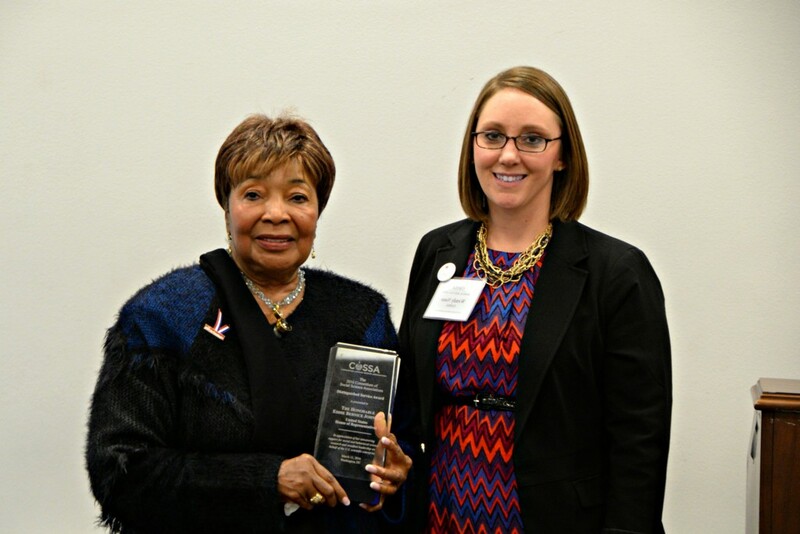 In recognition of her unwavering support for social and behavioral science research and steadfast leadership on behalf of the U.S. scientific enterprise. 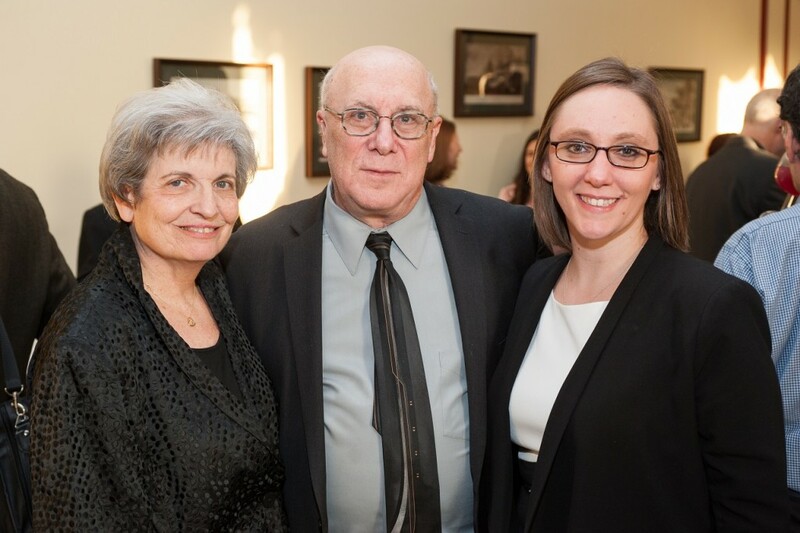 In recognition of his career of service to the social and behavioral science community.